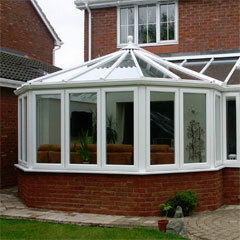 Conservatories come in many different shapes, styles and finishes and we can help you choose one that complements both your home and garden beautifully. 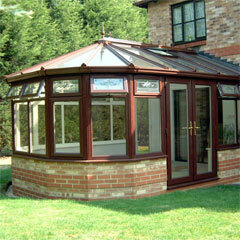 So if you are looking for a new conservatory, give us a call on 01932 807 273 today. 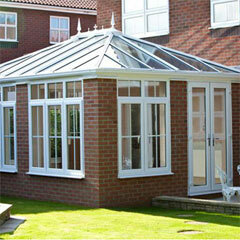 If curves are your style, then this multi-faceted design gives a unique look with virtually no limit to the number of sides that can be incorporated forming a virtual semi-circle. 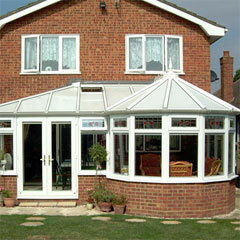 Gain two rooms for one with a 'P', 'T' or 'L'-shaped conservatory! 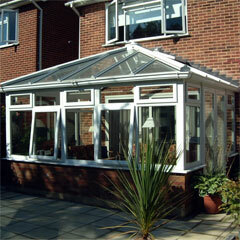 A design solution typically used on bungalows or chalet type property employing a box gutter assembly to overcome the low roof line, as the conservatory roof is configured in such a way that it effectively creates a ‘freestanding’ unsupported single span structure. 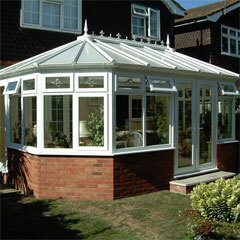 As in this image sometimes it is just about enjoying the impressive vaulted glass roof formed by this type of construction rather than any technical requirements of the property. 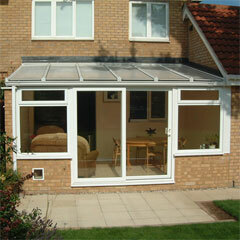 It may be cheating but it looks great! 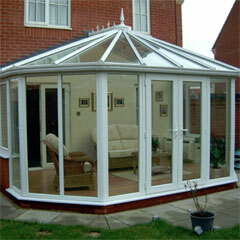 We offer a fast response repair service for all types of conservatories. 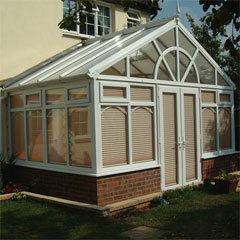 You do not need to of bought the item from us, this service is for everyone!